There are a number of non-invasive remedies to manage the snoring disorder. Before you can appreciate the quality of stop snoring devices or products, it is essential to know what causes snoring in the first place. It is true that the vast majority of people snore for very different reasons, but there are some commonalities from all the studies conducted by researchers over the years. Oral appliances are specially made dental appliances that are designed to advance the lower jaw slightly thereby pulling the tongue forward. These devices have been proven to be effective in reducing mild to moderate snoring and sleep apnea. The mouthpiece is the most common and most tolerated method in the management and treatment of snoring. Chin straps for snoring have consistently proven themselves to be an effective answer to open-mouth snoring – of which 80% of snorers are – and for those who are looking for an introduction to anti-snoring products there’s simply nothing as easy as ordering, unwrapping, and wearing a chin support. Clinical trials also support all the facts and observations about chin straps’ effectiveness: They work. The details of one such clinical trial – and its results – can be read in detail here. Nasal dilators work by pulling the nostrils and sides of the nose open, much like lifting the sides of a peaked tent to make more space on the inside. This can help to ease breathing through your nose and may reduce snoring. Saline nasal irrigation have been used for centuries to maintain clear nasal passages. Allergists, family doctors, otolaryngologists, pediatricians and scientists have found this procedure safe and effective. Evidence shows when done correctly, nasal washing can remove irritants, particles and debris keeping the passages clear while moisturizing and soothing irritated membranes. These are recommended for snorers with allergies, colds, and sinus disturbances being the reasons for their problem. There are some pillows have been designed to solve the snoring problem. Unfortunately, this device still hasn’t lived up to its name. There has been no clinical studies to support its claims in reducing snoring. This device works exactly like the ventilator in hospitals. It maintains pressure in the airway to ensure continuous airflow. It is definitely a solution to the snoring activity but its cost and maintenance is its downside. Which Device Should I choose? No one can answer this question for you. Everyone is unique and have different requirements. Snoring can be caused by a lot of factors; and its severity has a wide spectrum. This is definitely a medical condition but is considered to be a minor disturbance that can be solved. The materials on this website are intended to give an overview of the anti-snoring remedies available in current market. They are in no way intended to replace the professional medical care, advice, diagnosis or treatment of a medical professional. 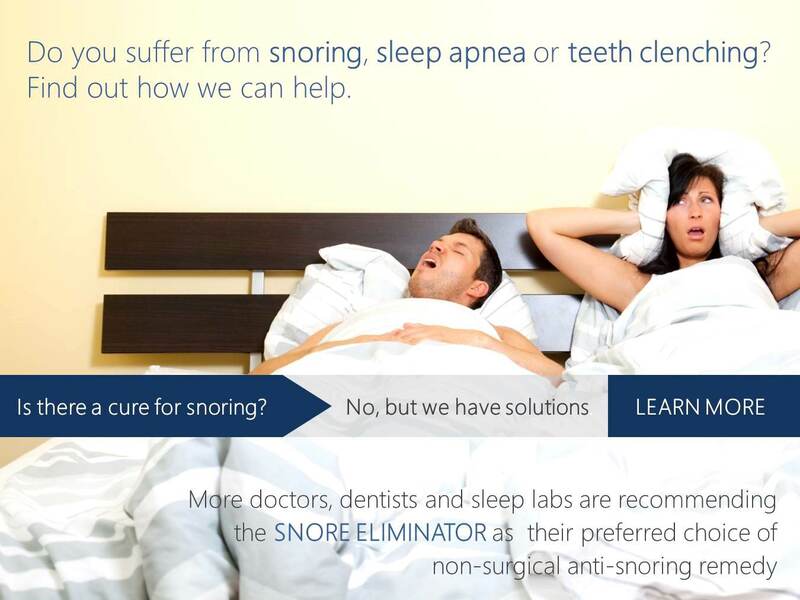 Always consult your physician or health care professional before using any type of anti-snoring products. If you have or suspect that you have a medical problem, promptly contact your physician.